Jewish Lights Publishing, 9781580238588, 176pp. The Hebrew Bible is true and wants us to tell the truth, even as biblical characters behave in less than truthful ways. What's more, where some of the lies people tell in the Hebrew Bible stories are punished, others are ignored and still others are rewarded. The Hebrew Bible's mixed-message of "Do as I say, not as they do" shows that lies--little and big, whether told to protect or advance oneself or when intended to preserve the peace--often occur under involved circumstances and demand careful consideration. 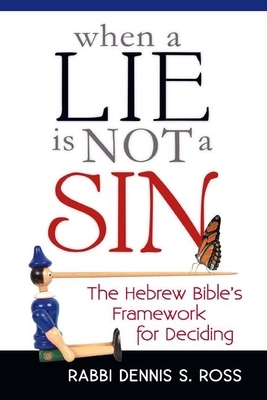 By viewing an array of situations in light of the Hebrew Bible--from the routine but delicate to the once-in-a-lifetime dilemma--this book will make a difference in how you think and live.